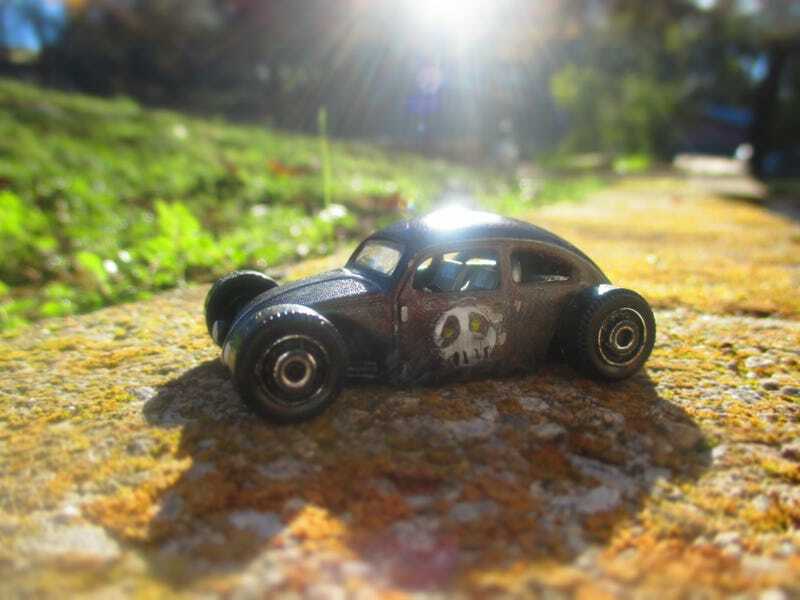 It took a while to get around to finishing the other VolksRod but I finally pieced together this little Franken-Bug. I wanted to paint it black but it wound up looking a little like an old German military helmet in that color. So this one is like the other and rusted with some peace sign skulls on the doors. She’s a bit lower than the last one but rolls just fine as long as the surface is flat. Pretty sure a sugar grain could stop her though. She’ll be joining the 32’s that are going to a friend. He still hasn’t come to pick them up yet which is annoying because the more I see them the more I want them for myself.